What is short-selling? And is it as profitable - or as dangerous - as it can seem? In this highly focused eBook, financial expert and author James Clunie reveals everything you need to know about the art of short-selling without wasting your time. With a low-growth atmosphere and markets still nervous in the wake of recent financial crises, there has never been a better time to get on top of what it means to be a successful short-seller. Short Selling by James Clunie is the most time and cost-effective way to start getting ahead of other traders and investors now. James joined SWIP in 2007 and is responsible for analysing UK utility and banking stocks, and for managing client portfolios. He is also responsible for developing SWIP's short-selling capabilities. Previously, James was at the University of Edinburgh for four years, conducting research into stock lending and short-selling. He also set up and ran their Masters programme in Finance and Investment. 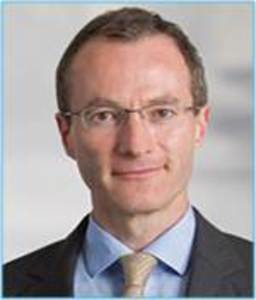 Prior to this, James worked at Murray Johnstone International, where he was Head of Asset Allocation, and at Aberdeen Asset Management, where he was Head of Global Equities. James holds a BSc (Hons) in Mathematics and Statistics from the University of Edinburgh, and is a Chartered Financial Analyst.